Everyone loves old Saint Nick… until he’s chasing you or stabbing you in the hand or any other number of diabolical things. 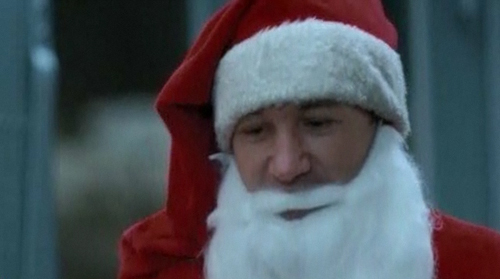 Here are various evil Santa Clauses in film that we don’t want paying us a visit on Christmas Eve. He knows with 100% certainty if you’ve been good or bad and he will punish you if you’ve been bad. So be good for your own hyde’s sake. Making Santa evil is bad enough. Making him/her a zombie is even worse. But then you give her an ax?!?! 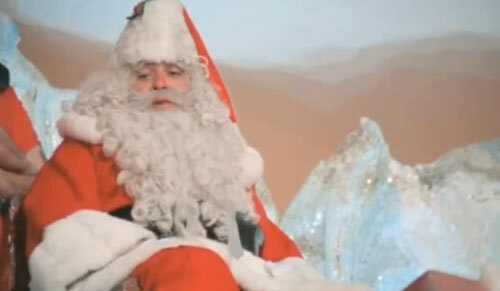 On second thought, this Santa is pretty cool. 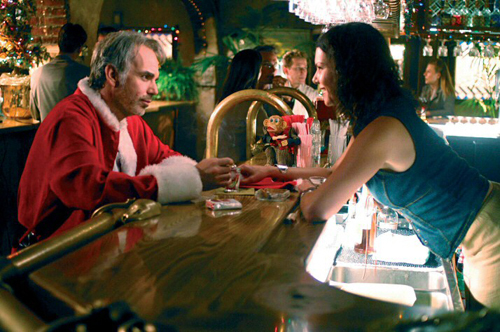 Who doesn’t love drunk, degenerate, down-on-his-luck Santa? I heart this image so much. 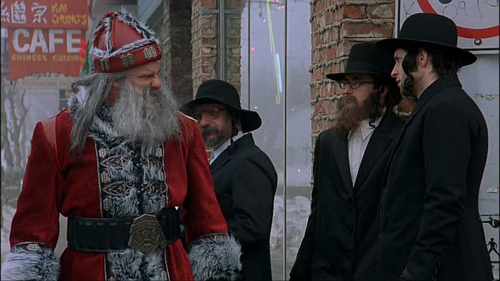 This is easily the second best Santa Claus performance turned in by a professional wrestler in the sum total of movie history, just behind Hulk Hogan in Santa With Muscles. A murderer’s row of potentially evil Santas. 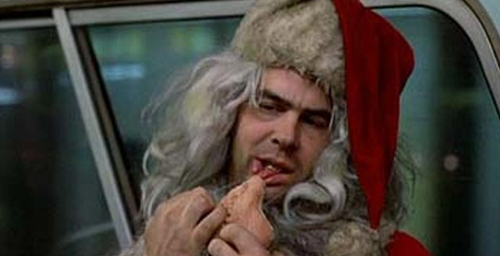 What kind of Santa tells a kid he can’t get what he wants for Christmas?!?! 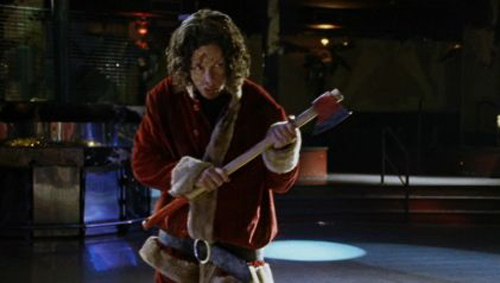 That Santa outfit for Santa’s Slay is awesome. I want one. I’d wear it to work all winter long. He looks like a giant suppository for pimps. Gotta love Billy Bob & Danny! They made the best drunk Santas ever. *As a side note, when I was typing ‘Santa’ above, I first spelled it ‘Satan.’ Go figure!